Open Google, type ‘jobs in Oban‘, click on the first link you see and start rolling the mouse. You find a job which ticks the boxes, you click the link and submit your CV. That’s pretty much what most people do when applying for a job. If you’re good, you’ll attached a cover letter too. However, not satisfied with such a common approach, Liam Tutty took it one step further when he recently applied for his dream job. Sadly Liam isn’t a local lad, but he works in digital media and on the side enjoys brewing his own beer. He noticed that Rye River Brewing Company in Kilcock was going to expand, Liam thought he’d love to work from a company like that. 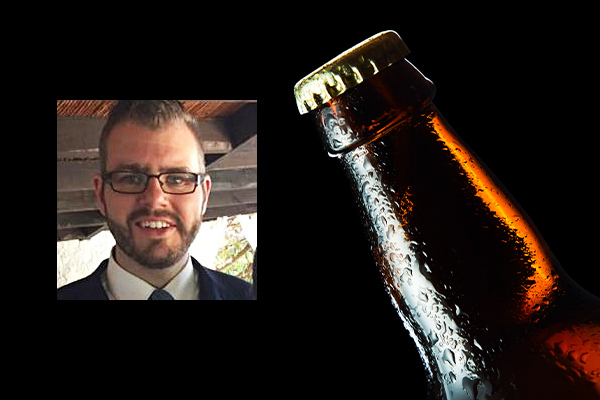 Just like we suggested in our ‘creative mindset’ blog, the 32-year old recreated one of the brewery’s most famous beer bottles. Changing the iconic logo to his face and the bold statement “Liam wants a job”. He sent it to Niall Phelan who is the Founder of the brewery. All we need to say is that Liam Tutty will start his new job on 14th December. The only thing that’s stopping you getting your dream job is you. More articles like this in Interviews and tagged apply from your mobile, candidate profile, career advice, career progression, cv writing, dream job, interview techniques, social recruiting by HIJOBS.